﻿﻿You always hear plenty of stories about Irish grit and determination, but you don’t actually feel it until you rub your hands through the ash of the main hall of the Blackthorne Resort of East Durham. The Handel family has been running the place for a couple of decades before a fire consumed one of their main buildings last month. When I caught up with Dale Handel, a stained glass manufacturer by trade, he was fashioning the red hand of Ulster into a glass piece to go into the bar he plans on replacing. He will be getting help this weekend as a number of Irish musicians stage a reunion concert at Blackthorne to help the family get on its feet. Black 47, Kilrush, MacCana, the Kitty Kelly Band, Brother Moon, Jimmy Gallagher, Peter McKiernan and more will lend their support to the cause. The pavilion out by the swimming pool has already been converted into a temporary dining hall/restaurant/bar/performing space. “Black 47 has played every Memorial Day/Labor Day weekend in the Blackthorne for the last 15 or 16 years -- no one remembers exactly,” jokes Larry Kirwan, the principal organizer of the event. “That's part of the charm of the East Durham area. I've been going up there since the 1970s and have always treasured the 33rd County. There's a certain ‘do whatever the hell you like -- just look out for your neighbors’ attitude up there. “Of all the bad that has come of this, there have been some fantastic, wonderful people that stepped up to bat for us,” says Dale Handel during an interview with the Irish Voice. “In a real time of misery, which has been beyond terrible, this has been heartbreaking. 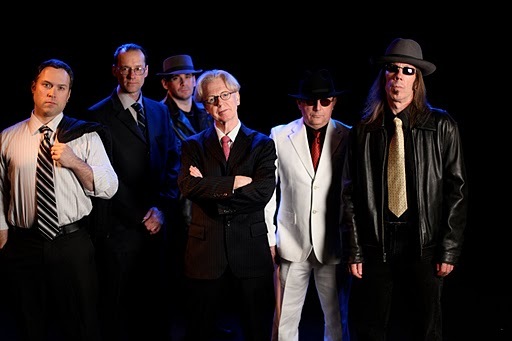 Guys like Peter Walsh from the Gobshites and Larry Kirwan have seen it, know what we have been doing for the last 19 years, know what we’re about. We are trying to get the building up to keep this scene alive here. Handel is heartbroken over the wonderful heirlooms that his customers have entrusted him with that hung behind the old bar that have now been lost. Though in pain, his customers are fueling his resolve to rebuild the legendary Tara Bar in this resort. To Handel and many others, a lot more than a structure was lost. For a generation of Irish Americans like myself, weekends in the Catskills were a welcome respite from the sweaty streets of the city. Memories can never burn away, which is a sentiment that Handel is reminded of every time someone drove up to survey the damage in the first few weeks after the fire. “I met my wife there, proposed to her there and married her there,” Handel says. “I have had a thousand people come up to me with stories of their memories there. You take it for granted living in the building every day. “I bartended here every day and I really loved that bar. I had some of the coolest stuff in there over the years. Pat Roper played his first gig in America here and this was where his last gig was, and we had pictures of both gigs. All those pictures are lost. Unfortunately, reservation books and computer files containing mailing lists of over 6,000 people were also lost in the fire. If you want to reserve for the weekend, you are encouraged to call 518-634-2541. Even if you can’t make it up on such short notice, you are encouraged to call the number anyway and put yourself on the mailing list if your plans call for a trip to the green Irish Catskills this summer. One thing that you won’t be asked for when you call is a donation. When you do go up there, have a drink at the Phoenix, which will be rising from the ashes thanks to good old-fashioned Irish determination! "Phoenix From the Flames" Blackthorne t-shirts will be available. Contact info@blackthorneresort.com or 518-634-2541. If you remember a time in the eighties when day-glow passion for music consisted of taut bass lines, caffeinated beats and addictive guitar hooks, then Two Door Cinema Club is right up your alley. The band of young-uns hails from Bangor and Donaghadee, Northern Ireland. They have been hard at work amassing new fans in Ireland and the U.K. with a string of EPs and tours. Alex Trimble (lead vocals, guitars, synth beats), Sam Halliday (guitar) and Kevin Baird (bass) make pleasing pop that straddles two decades -- the eighties and today. You can hear elements of Talking Heads and Vampire Weekend, often in the same song. The tinny, echoed guitar riff might remind you of U2’s early aggression, but the sped up drums sound crisp and modern on “Cigarettes in the Theatre,” the track that they did on Jimmy Kimmel’s late night talk show not long ago. Though the beats sound manufactured by a computer, Trimble’s voice is earnest and appealing, giving the music a tension that exists between the man and the machine. Their debut album, Tourist History, is a sugar rush of riffs and catchy choruses that is worth a spin! Two Door Cinema Club will play Webster Hall in New York on Thursday, October 21, and Washington, D.C.’s Black Cat the following night. Be prepared for a second read of the Script! 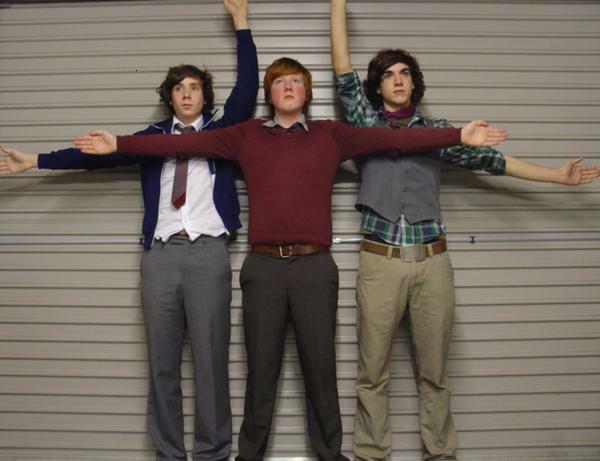 The lads from Dublin have readied a new single, “For the First Time,” which recently debuted on AOL Music. Danny O'Donoghue described the meaning the song to AOL. "We got home (from tour) and realized there's a stark reality out there, the recession has hit, people are losing their jobs and their valuable things," he said. "We thought, this almost pales in comparison to our news." Upon first listen, “For the First Time,” which premiered at the top of the Irish charts, is a heart-wrenching song. The first lines read, "She's all laid up in bed with a broken heart / While I'm drinking Jack all alone in my local bar." O'Donoghue's emotional vocals further lend to the song's sad and serious manner. 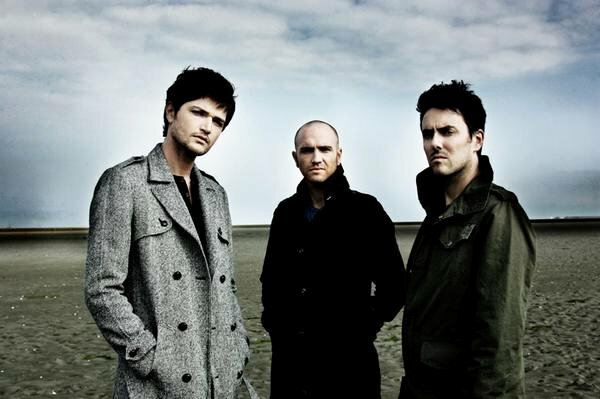 Although the song has a somber essence, the Script delivers a message of hope in the anthematic single. "The Irish are being stripped of all these things we used to have and we’re realizing what's really important," O'Donoghue explained. "It's all about going back to basics, drinking cheap wine, eating your dinner off the floor. That's when you meet each other for the first time, when you have nothing." If you want to escape economic turmoil, why not join the band along with Lifehouse, Colbie Caillat and more for the VH1 Best Cruise Ever this spring! From April 28 to May 2, the boys will be on board and sailing from Tampa, Florida to Cozumel, Mexico on the Carnival Inspiration. Visit www.vh1.com for more information.